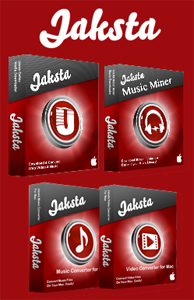 In the ensuing months, they have added a fourth program, Jaksta Music Miner, an audio capture utility (sold separately for $19.95), to the mix, and then bundled them all together for a single price $69.95, with a substantial discount for purchasing a additional bundles. Jaksta. Sold separately for $49.95. This is a pretty neat program. It’s designed to automatically download video and MP3 content from the web. One of the most common ways you might use Jaksta would be to grab a video from YouTube or similar site. It couldn’t be simpler. Navigate to the video you want to grab and start playing it. Launch Jaksta and click the Start button. Providing the movie is in a supported format (FLV, HTTP, RTMP, Icecast, WMV, ASF, MP3, MP4, SWF), static or streaming, it immediately grabs the original binary file (not grabbing a stream unless it needs to), which makes the download go way quicker (up to 10x faster than realtime). Once Jaksta has the file, which is often a Flash or other file that is downright IOS-hostile, it converts it to a format of your choosing (MP4, M4V, AVI, MOV, etc. ), and, if you want, it’ll even import the converted file into iTunes for you. It may be a one trick pony, as most of these utilities are, but if you need to view your favorite videos locally (on your iDevice, on your computer, on your media server, etc. ), this is a great tool to add to your arsenal of vital utilities. You can even capture songs from sites like Pandora and GrooveShark. Of course, I hope that after you download the tune, you will go back and buy a copy, right? Fastest – Neither the video nor the audio need converting. This will be super fast and retains full video and audio quality. Fast – Only the audio needs converting. This will still be pretty fast and the video will retain full quality. Slow – Only the video needs converting. Not so fast but the audio will retain full quality. Slowest – Both video and audio need converting. This can take some time, especially for a full length movie. When it’s done, you will have yourself a quality conversion to the file format you need. Need to convert Torrent files? This is the tool for you. How ‘bout AVCHD files from HD camcorders? Ditto! The only negative I encountered, and it’s a really tiny qibble, is that if you downloaded a movie file with subtitles in an external file (a pretty rare occurrence), Jaksta Video Converter for Mac can’t sync and merge the subtitle information into the movie. You’ll have to go to a program like Handbrake for that. 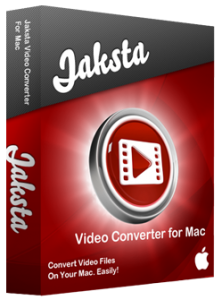 Other than that, Jacksta Video Converter is a much easier product to use, mainly because you are not presented with a huge number of choices, not to mention settings that if you tweak them too much, it can only spell disaster. Jaksta Music Converter for Mac. Sold separately for $19.95. Here’s an easy-to-use tool, with a user interface quite similar to that of the Video Conversion program. Like Jaksta’s site says, just add your music to Jaksta Music Converter for Mac, select an output format, and you’re done. 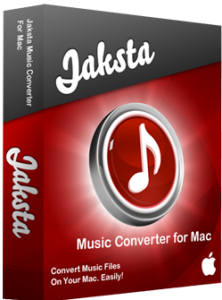 Use Jaksta Music Converter for Mac to make ringtones, too. When making MP3 files, you can edit the metadata for each track (artist, song title, album title, etc.). The Jaksta suite of media conversion tools is a (should I say it?) Swiss Army Knife of tools to make the management of your video and music files convenient and trouble-free. At $69.95, it’s on the high side of affordable for the average user, but it makes a drudge job a piece of cake. There are other tools out there. For video conversion, if you are starting with an MKV, ISO, or DVD media, Handbrake can do it for free, but the array of settings can be very confusing when all you want to do is drop a file onto a program box and get a converted file when it’s all done. Audio conversion? Well, there’s Audacity. Again, it’s free, but for that price, you get an inscruitable interface. To make an MP3 file, you need to run it through a separate plug-in (though I do like Audacity’s ability to record a 78 RPM record at 33 or 45, using Audacity to do the speed/pitch conversion). Basically, we can’t all be power users. Many of you out there, if confronted with the need to convert audio or video files from one format to another, you will probably run away, screaming at the top of your lungs. You want something easy and effective. That’s why I really like Jaksta Deluxe for Mac. It really makes what is normally drudge work quick and easy. No muss—no fuss. I liked the apps, though I did knock them down one point in the ratings for the price, which I think is a bit high for what they do.